Issues of Polish education in the East, including Lithuania, were the subject of a session held on Monday by the Emigration Affairs and Contacts with Poles Abroad Committee functioning as part of the Senate. 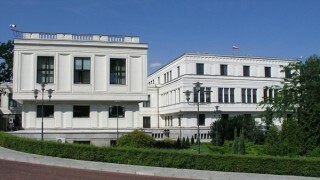 Wojciech Tyciński, who is the head of the Department for Cooperation with Polish Diaspora and Poles Abroad at Ministry of Foreign Affairs (MSZ), informed there that the inderdepartmental team dealing with the Polish Diaspora and Poles abroad was devising a strategy for Polish language teaching abroad, and in the following days the MSZ was going to organise competitions for implementation of projects in aid of Polish education in Lithuania and Latvia worth approx. 1.5 million zloty. Among the participants of the session held on Monday were educational activists and representatives of Polish organisations from Belarus, Lithuania, Latvia, Russia, and Ukraine; representatives of the MEN, MSZ, and Polish non-governmental organisations for Poles in the East – the Association “Polish Community” and Foundation “Help for the Poles in the East”. Representatives of Poles from the East passed their comments to the senators on the situation of Polish education in their countries and its most important problems. They spoke also about their expectations as for the aid from the Polish authorities. Chairman of the Association of Polish Schools Teachers “Macierz Szkolna” and Member of Lithuanian Parliament Józef Kwiatkowski, along with Councillor of the Vilnius City Local Government Edyta Tamošiūnaitė spoke, among other things, about problems with reorganisation and accreditation of Polish schools. “We presented the list of our problems with reorganisation of the Szymon Konarski School and the School in Lazdynai located in Vilnius; with accreditation of the Władysław Syrokomla and Joachim Lelewel Schools in Vilnius and schools in Paluknys, Medininkai, and Zujūnai; as well as with non-completion of the fifth-grade classes at Adam Mickiewicz Secondary School. We spoke about the situation of the Joachim Lelewel School, which is to be relocated from Antakalnis to Žirmūnai pursuant to the authorities’ decision, as well as about the unified Matura examination in Lithuanian and unification of Lithuanian language curricula from the first to twelfth grades, which is planned by the Lithuanian Ministry of Science,” Edyta Tamošiūnaitė informed Wilnoteka. Representatives of Polish communities from Belarus, Latvia, and Ukraine also described their problems. “Educational systems are different; every country has its own problems in the education field, also every community has different expectations – somewhere a Sunday school is enough, but we want to preserve the whole network of Polish schools. During this session the senators got familiarised with the situation; now meetings devoted to issues of each community separately are being planned,” said the councillor of the Vilnius local government. The Polish Senate has recently taken over the responsibilities concerning care of the Polish diaspora. The Upper House was in charge of it since 1989, but in 2012 the money from the budget which was designated to cooperation with Poles abroad were transferred to the Ministry of Foreign Affairs. Last week Marshal of the Senate Stanisław Karczewski informed that the House was working on formulation of priorities in the support of the Polish diaspora and Poles abroad. Pursuant to the act passed at the end of April which changed the Senate Regulations, the Emigration Affairs and Contacts with Poles Abroad Committee is to consult the Senate budget with regard to care of Polish diaspora.